Every day we are inspired by the hard work, care, and love of the young women and mothers in RefuSHE's programs. Young mothers like Chantal, who is determined to create a brighter future for herself and her son through education. Chantal was 13 when she was forced to flee from the war-torn Democratic Republic of Congo (DRC). As a young woman on her own, she was captured by rebels and held against her will in a forest; she became pregnant as a result of the abuse she suffered there. Chantal managed to escape to Nairobi, where she was referred to RefuSHE by our partner, HIAS Kenya, at the tender age of 15. Soon after moving into our Safe House, she gave birth to her baby boy, James. 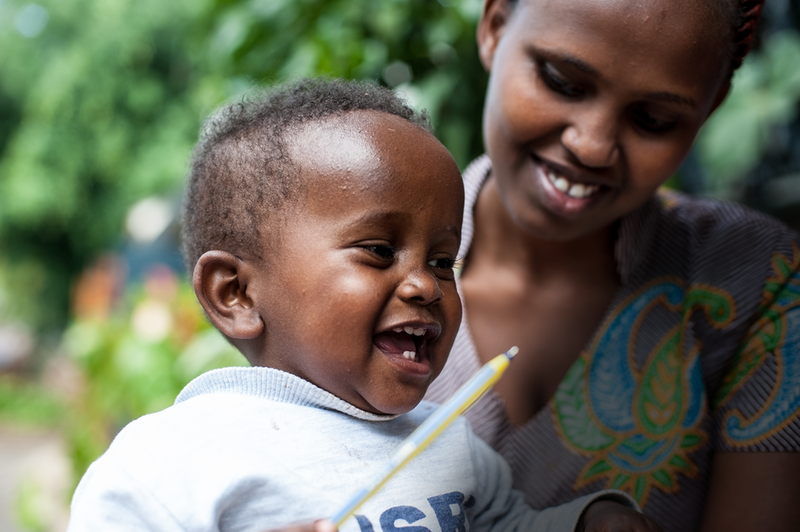 Within the protection of their new home at RefuSHE, Chantal received psychosocial support and was surrounded by a community to help her and her son begin to heal. Chantal enrolled in RefuSHE's Level 1 class at the Girls' Empowerment Project (GEP). Eager to learn the national languages of Kenya – English and Kiswahili - Chantal focused on her studies. She began to excel and quickly rose to the top of her class. Chantal is not only focused on her education but also her son's. James attends school at RefuSHE's Early Childhood Development Center, where he learns numbers, shapes, and how to communicate with his peers. At 17 years old, Chantal is a force to be reckoned with. Her confident and determined smile is the first striking feature you notice about her. She has now advanced to participate in Level 3 of the GEP and plans to continue her education through college. She is an active member of RefuSHE's artisan collective, where she utilizes her tailoring skills and earns a stipend that allows her to pay rent and live independently with James. Chantal has big dreams for her and her son; she states, "I would like to rewrite my life and the future." We hope you will make a gift to RefuSHE in support of the strong, young mothers we serve.